Super 8 Motel Harriman Harriman, Hotel null. Limited Time Offer! More of aRead more Family establishment, this two star hotel is located in Harriman. Several amenities, notably n.a. are available at the hotel.Take advantage of the pool which is available at the hotel.Practical information:This hotel has a parking. From: Interstate 40. 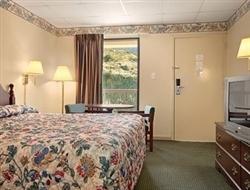 The Best Western Harriman Inn is located off Exit 347 which is Highway 27 Harriman, Tennessee. Extended Stay Rates Available call 865-376-3477. Easy Access from I-40 Exit 352. All Rooms Newly Renovated Summer 2008. Most of Rooms are on Ground Floor. All Rooms with Microwave and Refrigerator.